My name is Michelle Wendler and I'm married to Carlan, the ER doctor on the team. It wasn't what we had hoped for. After months of eager expectation, two of my siblings came to visit us here in Burundi. I was surprised at the tears that flowed when we greeted them as they walked through the little airport terminal located in the capital of Burundi. Being far from family and friends takes its toll and is probably one of greatest losses we experience to serve overseas. A picture is worth a thousand words, but being here, putting feet on the ground, is probably worth a million. No one can describe perfectly what the air smells like, what the food tastes like, what it’s like to see the smiling faces of the village children as they enthusiastically respond to seeing their picture for the first time. It was such joy to watch my siblings get to see and experience our life here for a period of time. Yet halfway through their visit, the unimaginable happened. We were awakened Saturday morning by a call from our family in California that our father had unexpectedly died of a heart attack while on a hike / prayer walk in the mountains behind their house. He was in great shape and had no health problems that were known, so this was a complete shock to us and the entire family. We immediately booked flights home and embarked on the emotional / exhausting flight back to California. It was probably one of the most difficult flights I’ve ever taken. When we landed at LAX, the realization that Dad and Mom wouldn’t be there to greet us as they usually would was almost unbearable. After an emotional four week trip home we are now back in Burundi. I would like to use this as an opportunity to share a little about my dad, whom I love deeply and who has had a huge impact on my life and is one of the main reasons that I am where I am. Waiting to walk down the aisle with my dad. Humble, gentle yet strong, fun, goofy, unpretentious, fearless, hardworking, compassionate, joyful, peaceful, faithful, prayerful, wise, knowledgeable, and loving. He was strong both physically and in his faith, yet he was also gentle. I always felt safe when Dad was around. It is impossible to describe a lifetime of love and service in one moment. As I was thinking about what to share so many memories filled my mind, and continue to do so. Each day I will see something that will remind me again of another fond memory of Dad. But for the sake of time I will only share a couple. My dad instilled into us a love of being active and of the outdoors, and at the same time he taught us some very valuable life lessons. During one of our first hikes up Mission Peak, I was around 7 at the time, we were complaining about the steep hills and difficulty and ready to give up. He encouraged us on by pointing to the trees in the distance and giving us a goal within sight to reach. When we got to the tree he let us rest, praised us for our endurance, and gave us another goal just ahead. We made it to the top of the mountain thanks to my dad’s gentle and patient guidance and encouragement. Another example of this was during our long drives to Santa Barbara from the San Fernando Valley when he was pastoring a church there. As kids, this drive seemed like an eternity, yet he turned it into a game for us by giving us landmarks along the way to look forward to. We eagerly waited for each one and would call out in delight when we saw them. One of them was a stop on the way home to get out and see the waves hitting the rocks along the coast. 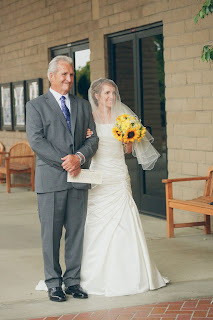 Even on my wedding day, as my mind was all aflutter, he calmly reminded me of the next goal as we prepared to walk down the aisle, talking me through what the wedding coordinator had told us to do. 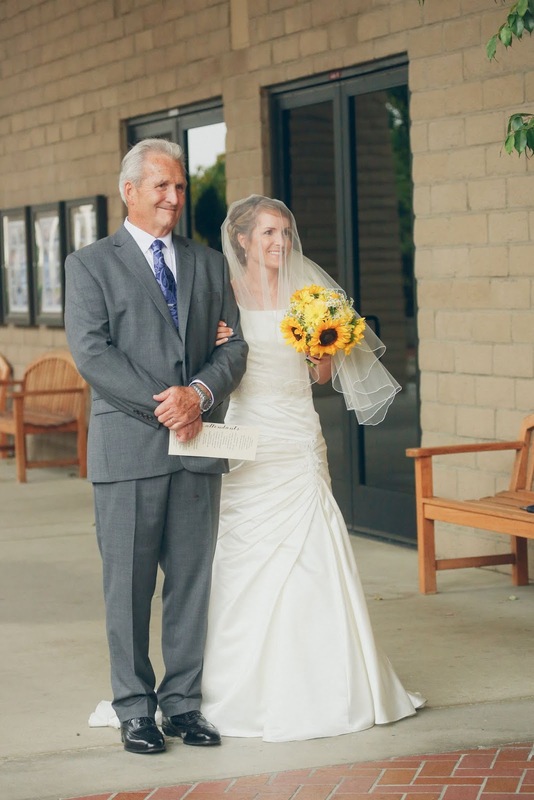 He lovingly guided me as I walked down the aisle to marry the man of my dreams. 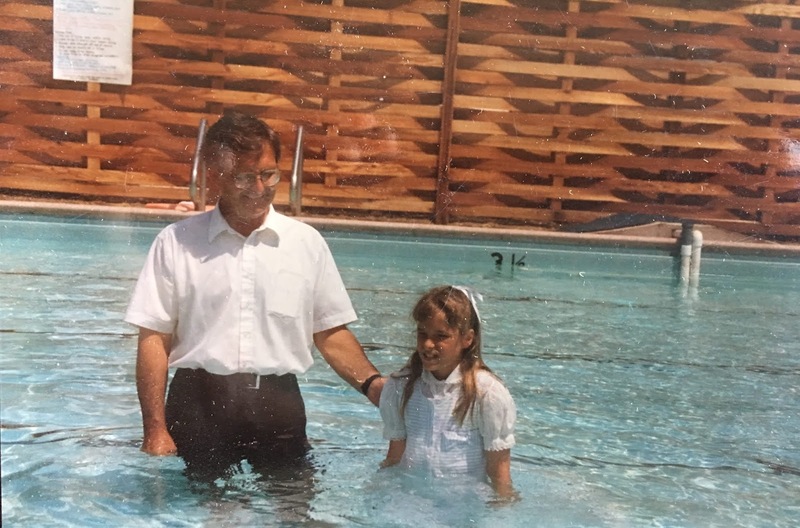 A large part of being on the mission field now is because of my dad and mom. 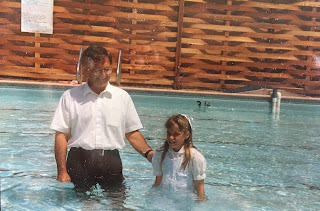 Dad was a pastor and he and my mom had a deep love for missions. Some of my fondest memories were of the times when my parents would missionary biographies to us as kids each evening. I even laughed and told them once that if we became missionaries it was “all their fault.” Growing up, some of our closest friends were missionaries overseas. We would often meet up with them during their furloughs and hear all their exciting stories. I believe that prepared me for the life I now life. 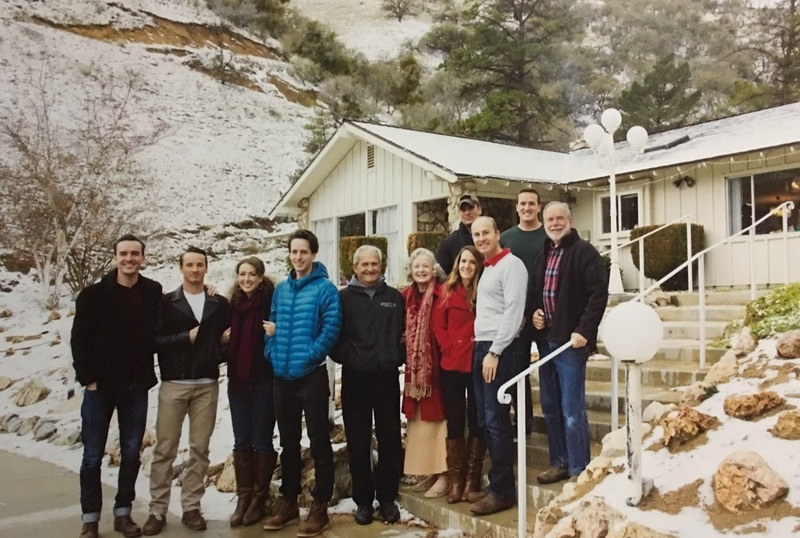 …of when we would make tents in the living room with Christmas music blaring, of holding our breath while we drove through tunnels, of marching around the house to Sousa marches, of watching him selflessly serve the churches he pastored, often arriving early to set up and stay late to tare down all the chairs. I am so thankful to the Lord for such a wonderful dad. He is loved dearly and will be profoundly missed. I am sorrowing yet rejoicing in the fact that now his faith is sight and he is worshipping in the presence of his Savior whom he deeply cherished. And one day we will together rejoice at the throne of our Lord. How I long for that day. I love you Dad and miss you so much! Mom and Dad surrounded by their kids (and my uncle Dave). into the presence of his Savior. His prayers were turned to conversation in an instant. I'm so sorry to hear of your loss! Your dad sounds like a wonderful man and the picture of the two of you on your wedding day is beautiful! So thankful that you have such happy memories to look back on and an eternity together to look forward to. What a beautiful tribute to your dad, and the relationship you had. My condolences to your family.